1. Absolutely ONLY for installation onto unmodified original S.T.A.L.K.E.R. 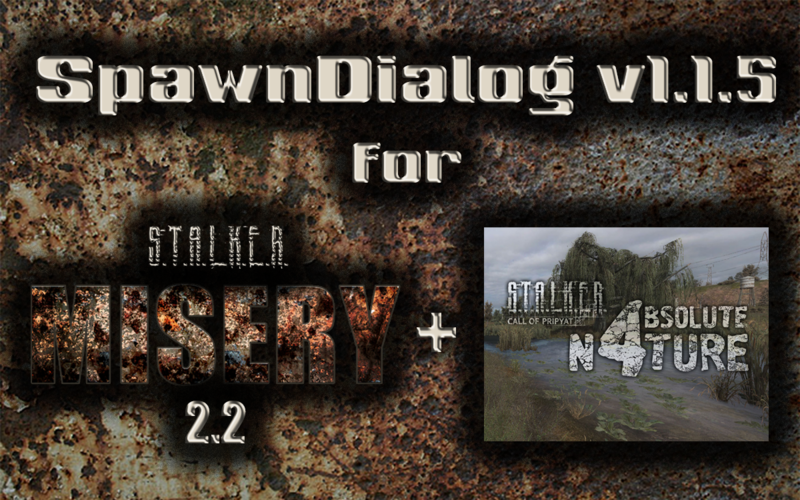 Call of Pripyat v1.6.02 with unmodified MISERY 2.2 and Absolute Nature v4.04. *May work with other MISERY 2.2 mods and addons. 2. To install, copy the 'gamedata' file folder from this mod addon onto the 'gamedata' file folder within your install directory, overwriting any and all files when prompted. 3. To initiate this mod addon, go out into the game's main menu while playing (press ESC) and then press F1. 4. Proper function and compatibility of this mod addon with other mods and/or addons - besides MISERY 2.2 has not been tested and is not guaranteed. 5. You may use/modify/share this mod addon without further permission, provided you do credit the corresponding authors (as shown in the above description) AND you do not charge any fees or commissions (GPL rules). What does this mod actually?